Chose the Belt Level that you will be testing for. Belt testing fees are due before the date of the Belt Test. Questions, Please see the Office. 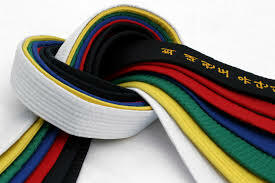 Belt Testing is Held every 8 weeks with your Instructors permission. Do NOT pay for belt testing unless you have been given an application to test.